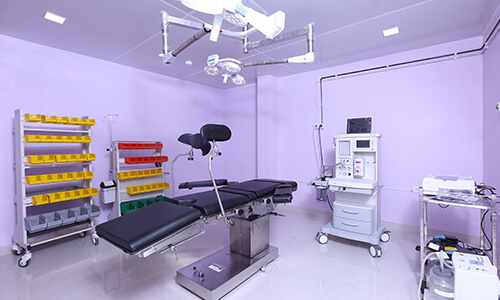 Jayadeva hospital houses modern facilities and state of the art equipments ,offering excellent facilities and we work to provide ultimate Reproductive and Gynaecological care . 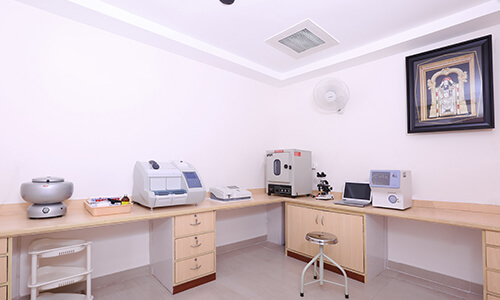 It is well equipped for various procedures such as Intra Uterine Insemination (IUI) ,Invitro Fertilization(IVF) ,Intra Cytoplasmic Sperm Injection (ICSI),assisted hatching (ah),Blastocyst Transfer,Sperm and Embryo Cryo preservation and a well equipped Andrology laboratory for diagnostic and treatment purposes , Laparoscopy , Hysteroscopy , high quality imaging Ultrasound and first in class blood work Diagnostic Laboratory. FSH,LSH, Prolactin, TSH, HCG, Estrogen, Progesterone these Hormones are secreted by glands in the brain, the imbalance is created by alteration in their levels this can have effect on Ovulation ,Embryo Implantation as well as receptivity. We at JAYADEVA FERTILITY CENTER have a well equipped lab to produce accurate results in blood work for hormonal analysis. PolyCystic Ovarian Syndrome is very common due to lifestyle changes in many scenarios where there are multiple cysts developed in the ovaries, where they are fluid filled and can lead to hormonal imbalance, irregular periods and also cause difficulty in conceiving. We have high standard scanning device which can provide accurate diagnosis. The fertilization occurs in the fallopian tube where the egg is released from the ovary meets the sperm, after the egg and sperm fertilizes embryo is formed which travels to uterus to get embedded there in 4 to 5 days. The tube has to be healthy and block free for natural conception. The blocks are caused by pelvic inflammation disease or there can be adhesions around the tube from moving freely and picking up the eggs from the ovary. The tubal blocks are diagnosed are laparoscopic procedure or using a dye test called Hysterosalpinogram by our doctors.